On Tuesday, July 14, two Rocky Point High School Interact students were guest speakers at the weekly Rocky Point Rotary Club meeting. Students Pooja Deshpande and Samantha Napoli both attended the Rotary Youth Leadership (RYLA) Conference in April 2015. They shared that the weekend event was life-changing and that they learned so much about community, communication, and team building. 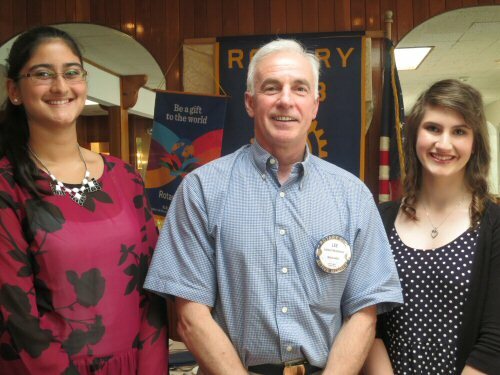 Pictured below from left to right are Pooja Deshpande, Past President Lee McAllister, and Samantha Napoli.